Welcome to the world’s first global autonomous racing league, open to anyone. It’s time to race for prizes, glory, and a chance to advance to the AWS DeepRacer Championship Cup at re:Invent 2019 to win the coveted AWS DeepRacer Cup. Get on the track to compete in the live events at 20 AWS Summits worldwide or enter the monthly virtual races. Join us at any of the 20 AWS Summits, globally, where we will help you build and train a model at a workshop, or you can bring one you have trained at home. You can then put your model to the test and compete on the track in the AWS Summit Expo. 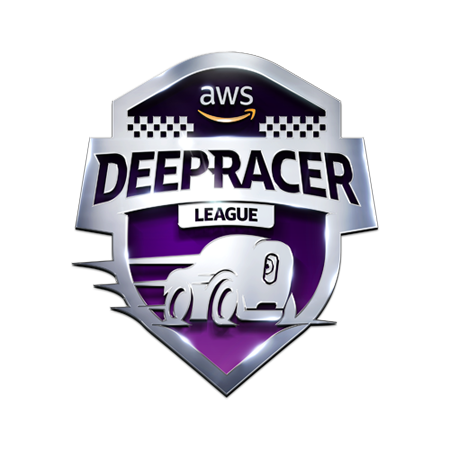 Developers can also build models and compete online in the virtual league through the AWS DeepRacer console. The virtual races will take place monthly on new, increasingly challenging tracks and are open to all levels of expertise. Sign up for the preview to get on the list for early access. Whether you are new to machine learning or ready to build on your existing skills, we can help you get ready to race. Developers with no prior machine learning experience can get started by taking the AWS DeepRacer digital training course to get familiar with the basics of reinforcement learning (a branch of machine learning that's ideal for training autonomous vehicles) and AWS DeepRacer. If you are already comfortable with these concepts and ready to get hands-on today, you can dive in and build an AWS DeepRacer model using the Amazon SageMaker RL notebook. 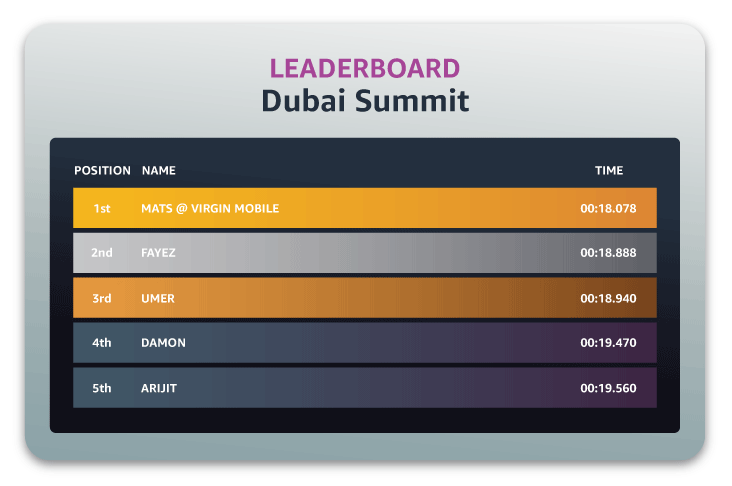 Top the leaderboard at one of the 20 summit races or virtual monthly circuits and you’ll be heading on an expenses paid trip to AWS re:Invent in Las Vegas. You’ll compete in the 2019 AWS DeepRacer Championship Cup, where the racer with the fastest time will become the overall 2019 AWS DeepRacer League Champion. Developers, the race is on! Learn About Winning with ML From The 2018 AWS DeepRacer Cup Champion! AWS customers can sign-up for the AWS DeepRacer preview. Get hands-on with RL, experiment, and learn through autonomous driving.